This is the first in a series of posts for new and potential bird watchers who are just getting introduced to the world of birds. Do you want your fill of wildlife but can’t find the time to go to a National Park? Or don’t have the means to visit the locations that TV channels often show? Don’t worry – you are guaranteed to find some birding action in your neighbourhood. Birds are everywhere and even in the most urban centres, a birder will never fail to find a feathery source of joy and excitement! And in case your balcony or garden doesn’t suffice, you can always head down to the nearest park or open area, maybe even a garbage dump – and surely, you’ll find some birds no matter where you are. Don’t believe it? Have a look at some locations in crowded cities like Delhi or Mumbai or Bangalore that regularly host several species of birds! Birding provides us with a wonderful excuse to observe and reacquaint ourselves with the natural world around us. From being drawn into the peaceful environs of a green belt, to inhaling some fresh air early in the morning or going for a long walk – birding brings us closer to nature and allows us to forget the routine and chaos of urban life, even if for a little while. One of the best things about birding is that it is not limited by lack of equipment. Absolutely anyone can take part and it costs nothing to watch the birds around you. Having said this, a handy pair of binoculars definitely make birding more enjoyable and interesting. A notepad and pencil are the final items to round off a birder’s basic toolkit. Many hobbies tend to get stale after a while, but birding can be quite unlike other hobbies. The more you observe birds, the more interesting they become. 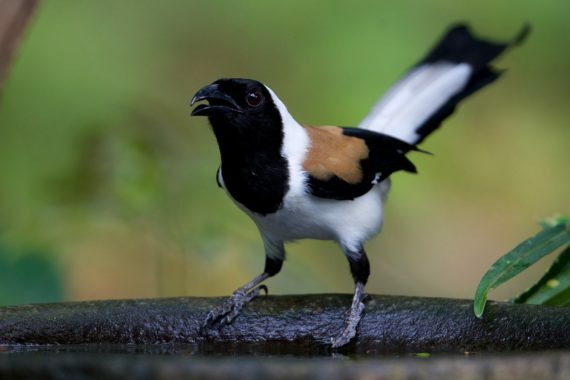 But this interest takes various forms – birding may introduce you to the world the birds live in and you may subsequently learn a lot about their habitat and other creatures that co-exist. Birding may lead you to discover and acknowledge relationships within nature, to understand patterns, seasons, changes in the environment and in the longer term – it may also help you in answering questions regarding climate change, migration routes, and so on. See a flash of red out of the corner of your eye? Or do you hear those sounds that your friends fail to notice altogether? Do you find yourself picking up your binoculars and noting down details of a tiny bird in a tree before your companions can even figure out that there’s a bird in sight? Well, you must be a birder. Some people are born with a sharp eyesight or hearing or reflexes – but birding cultivates these senses in all those who take it up. You’ll find yourself hearing things where all was quiet before, or seeing movement in bushes you didn’t even know existed! Last, but not the least – can you imagine a morning without the sweet songs, chirps and whistles of birds? Or can you imagine being a child (or for that matter, an adult) and not find yourself transfixed by watching a bird in flight? Do you remember the first time you were enchanted by the wonderful colours that many of our birds sport? 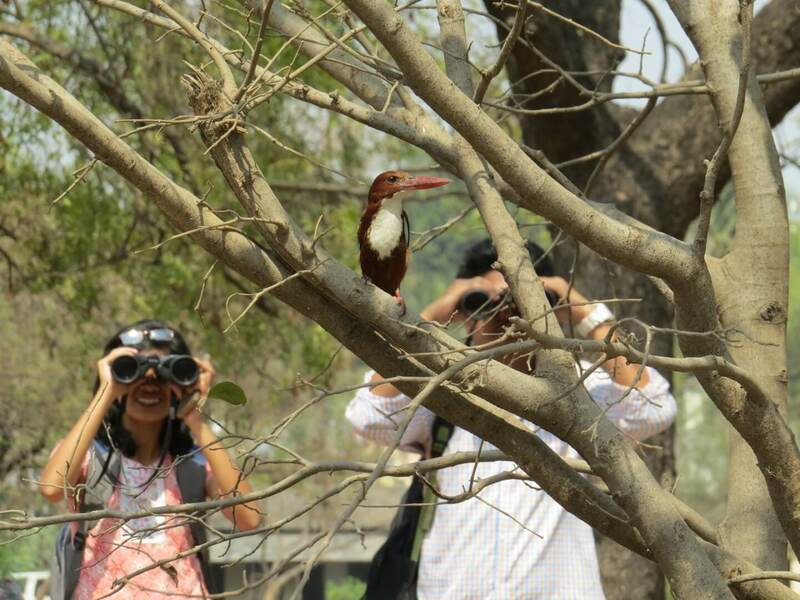 You may be a birder or you may not be a birder – but anyone who has witnessed the swift stoop of a Peregrine Falcon or listened to the sweet song of a Malabar Whistling-thrush or been baffled by the colours on a Himalayan Monal would tell you: it’s impossible not to be fascinated by birds. So don’t wait, get out there and open your eyes and ears to a world full of avian splendour! This is by no means an exhaustive list and we would love to hear your reasons for birding in the comments section below. Meanwhile, you should also check out Madhushri Mudke’s blog on her reasons to watch birds, or several other blogs (just google it!) that list out why birding is one of the most loved activities across the globe!